If you aren’t familiar with these powerful techniques, many risks are involved for inexperienced workers. Here is additional information to help you learn more about sand and soda blasting, so you can remain safe. Identify any hazards and assign a knowledgeable person trained to eliminate them. Use engineering and administrative controls, personal protective equipment including respiratory protection. Engineering controls, such as substitution, isolation, containment, and ventilation are the primary means of preventing or reducing exposures to airborne hazards during abrasive blasting operations. Administrative controls, including the use of good work and personal hygiene practices, can also reduce exposure. With decades of experience, NWA Restore It, Inc. ensures safe and effective sand and soda blasting, We complete every job to meet high standards while taking the necessary precautions. You can always depend on our 35 employees, 18 trucks and several hundred pieces of the most advanced equipment. Our reputation is built on old-fashioned customer service because we care about doing jobs correctly and safely. We work hard to protect our respected reputation by constantly focusing on training. NWA also follows IICRC (Institute of Inspection, Cleaning and Restoration Certification) standards. For quality work and peace of mind that every job will be completed safely, call NWA Restore It, Inc. for 24/7 emergency service or to schedule an appointment today. Have you been concerned about paint chips, which you find crumbling in the back of your closets? When you sweep the floor, do you discover more of these broken pieces around the baseboards of your home? If you purchased a home that was built before 1978, you may have cause for concern. 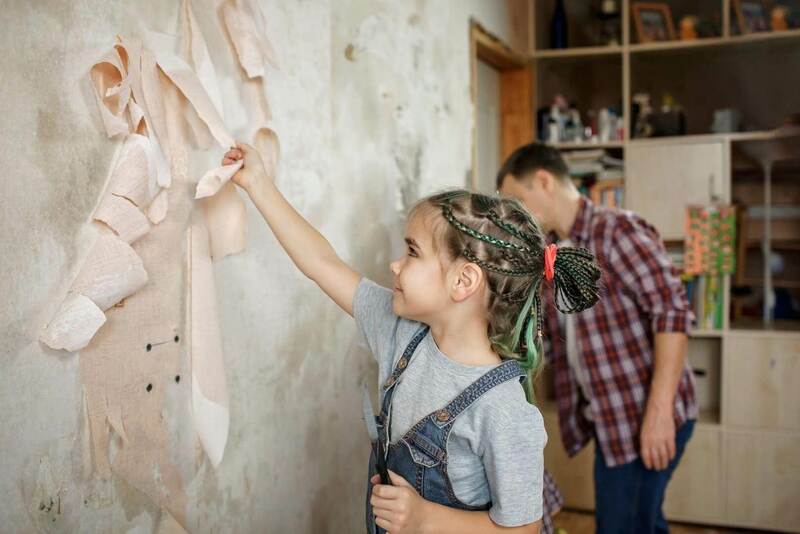 Take precautions to avoid exposure to lead dust when remodeling. When renovating, repairing or painting, hire only EPA- or state-approved Lead-Safe certified renovation firms. Before buying, renting or renovating your home, have it checked for lead-based paint. Consult your health care provider about testing your children for lead. Your pediatrician can check for lead with a simple blood test. Wash children’s hands, bottles, pacifiers and toys frequently. Make sure children avoid fatty (or high fat) foods and eat nutritious meals high in iron and calcium. Remove shoes or wipe soil off shoes before entering your home. Painted surfaces with lead bump or rub together. Lead paint chips and dust can get on surfaces and objects that people touch. Concerns about hazardous materials can be stressful. NWA Restore It, Inc.’s HAZMAT specialists are equipped and ready to eliminate your worries safely and cost effectively. If you need HAZMAT cleanup in Rogers, AR, contact NWA Restore It, Inc. now.